Alex Kozakov co-leads an Investment Property sales team based in Downtown Los Angeles, representing clients locally, regionally, and nationally. He is dedicated to providing real estate investors and institutions with the highest level of service, integrity, diligence, and market knowledge in California’s retail investment sectorprivate and institutional clients with their acquisition and disposition of retail properties throughout the Western US, including strip centers, anchored centers, urban retail storefronts and single-tenant net-leased assets. To complement their investment practice, Alex and Patrick have invested heavily to create proven systematic approach in the marketing of their client’s assets which have averaged above 98% list to sales prices. They have an extensive database that reaches a broad pool of brokers and investors, complimented by CBRE’s Global Platform of experienced professionals working collectively to achieve top line results. 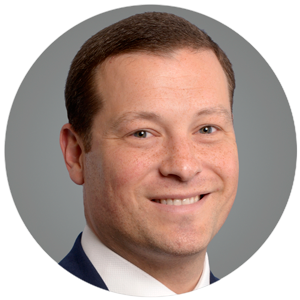 Alex has negotiated north of $1 Billion worth of transactions which has provided him with the knowledge and experience to overcome the most challenging deal obstacles and provide his clients with real time solutions to ensure successful closings. Alex also has extensive experience in 1031 tax-deferred exchanges and urban infill redevelopment projects. He leverages this knowledge to provide clients with strategic solutions to meet their goals. He prides himself on his integrity, expertise, responsiveness, and high level of service that he provides to his clients and partners. In 2006, Alex teamed with Patrick Wade, and since then they have listed and sold more than $1 Billion of retail investment property. They have built their team on the core values of trust, integrity, dedication and hard work. The team has a commitment to always do what’s right for their clients and partners, and provide them with world class service, flawless execution, local expertise and global exposure for every assignment. Before joining CBRE, Alex and Patrick worked for Marcus & Millichap for 9 years where they were consistently recognized in the top retail investment brokers nationally. Alex and Patrick moved their team to CBRE in 2013, and since then have grown into one of the most successful retail investment sales teams in all of Southern California. Their ability to leverage the CBRE’s Global platform allows them to provide best-in-class service to their clients, including leasing, management, valuation, appraisal and structured finance. Alex and Patrick are regularly quoted in several real estate periodicals, including GlobeSt.com, the LA Times, RenTV.com, Bisnow.com, and CBRE.com. Alex graduated with his bachelor’s degree from the University of Arizona. He is a member of the International Council of Shopping Centers (ICSC), and had previously server on the LA Next Generation Committee for ICSC. He currently serves on the board for JBBBSLA and the foundation for Camp Bob Waldorf. He serves as a mentor to many junior brokers and is involved in several philanthropic organizations throughout Los Angeles. He and his wife, Kelly, live in Encino where they enjoy spending their free time with their two daughters, Gia and Mila, and son, Eli.